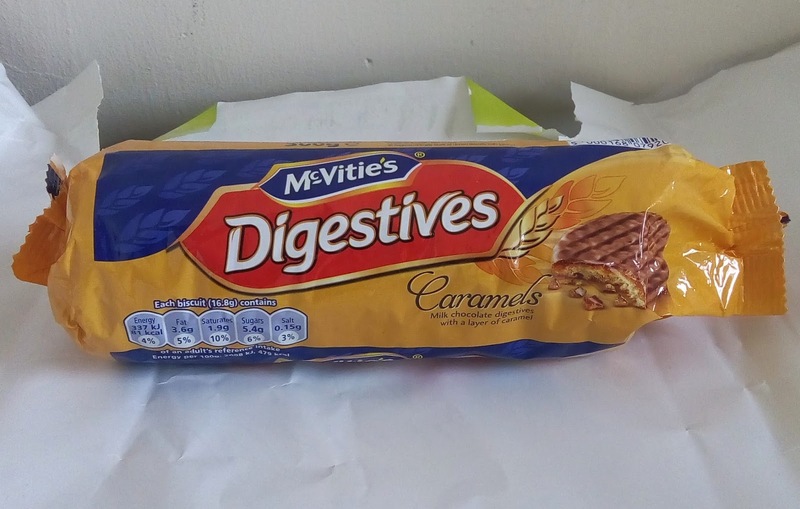 As well as the digestive nibbles, McVitie's also have caramel digestive biscuits!! 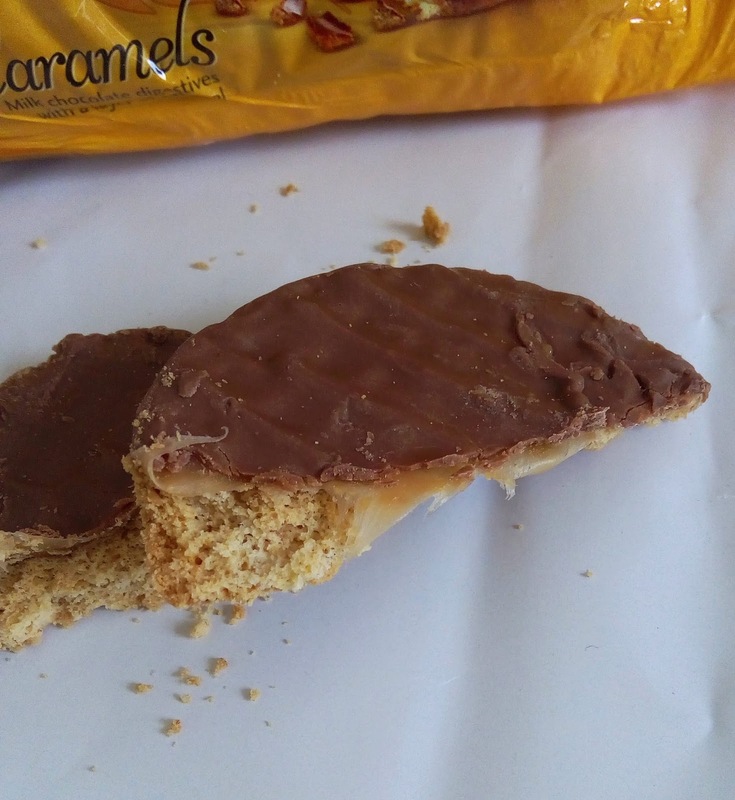 These caramels are so damn delicious!! I found them chewy on a moderate warm day so they didn't need refrigeration. 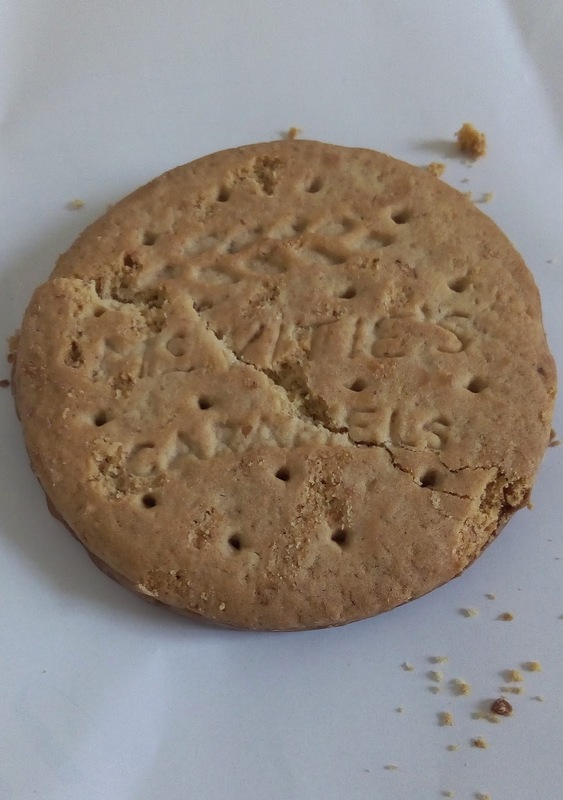 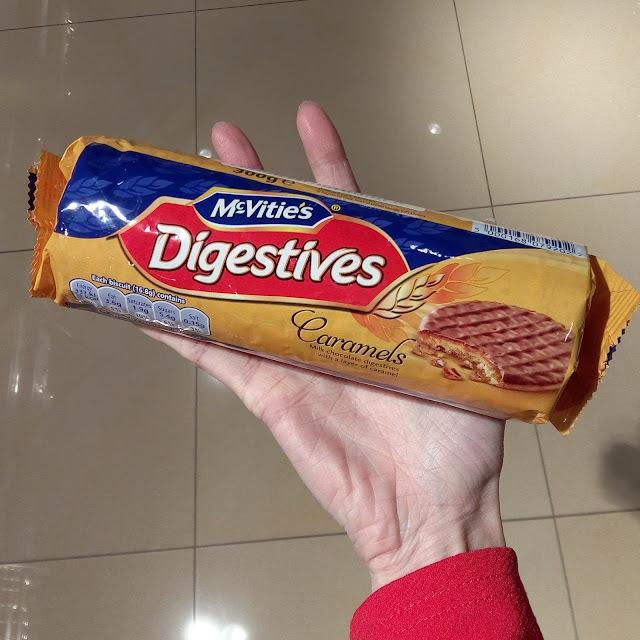 The best thing is that they don't taste too sweet and the chewy caramel brings out the tasty wheat flavour of the digestives. At the back of the biscuits, they have the words McVitie's Caramels at the back. The only complaint was that all the biscuits are stuck together so when you try taking them out, they always snap in half. 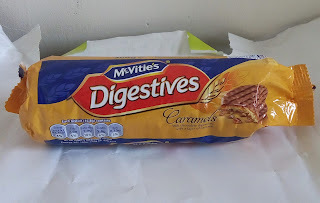 I have experimented in putting them in the fridge and freezer. 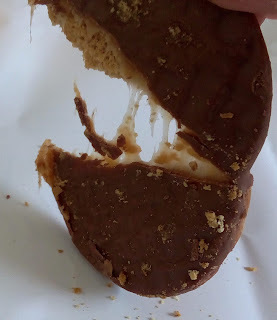 The fridge makes them even more chewier but the freezer makes the caramel extremely brittle like caramelized sugar.